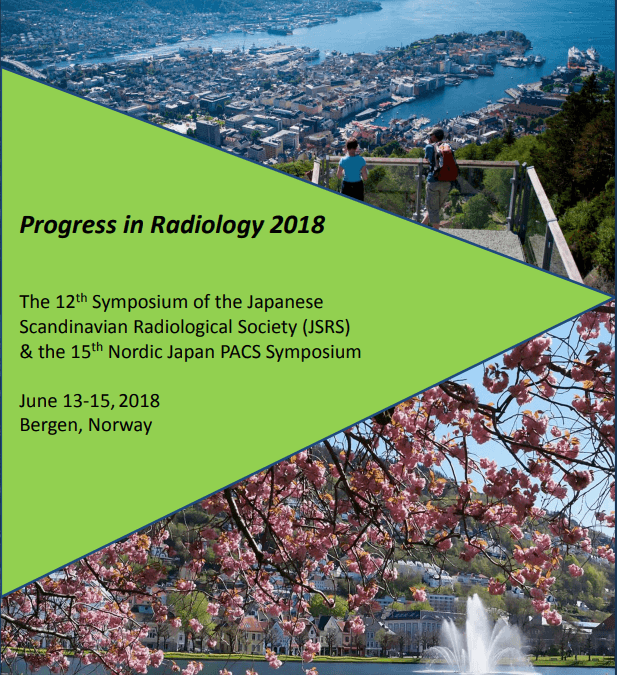 From tomorrow on, Progress in Radiology, the 12th Symposium of the Japanese Scandinavian Radiological Society (JSRS) & the 15th Nordic Japan PACS Symposium will start. Progress in Radiology 2018 is organised in collaboration with The Norwegian Radiological Society, Haukeland University Hospital and the University of Bergen. This conference aims to promote the exchange of scientifically based radiological skills and to build professional networks between Scandinavian and Japanese radiologists. The organising committee endeavours to host “Progress in Radiology 2018” in a similar successful manner as JSRS’s previous symposiums in Japan in 2016 (with Prof. Yamada as President) and in Finland in 2014 (with Prof. Aronen as President) as well as the many preceding meetings. The symposium will, similar to previous years, cover topics ranging from oncologic imaging, cardiovascular imaging, interventional radiology, breast imaging, nuclear medicine and molecular imaging to PACS related topics. More information is available on the official webpages.